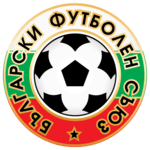 The Bulgarian Football Union (BFU) (Bulgarian: Български футболен съюз, БФС, Bŭlgarski futbolen sŭyuz) is a football association based in Bulgaria and a member of UEFA. It organizes a football league, Bulgarian A Professional Football Group, and fields its Bulgaria national football team in UEFA and FIFA -authorised competitions. A legal entity that it claims descent from was founded in 1923 as the football department of the Bulgarian National Sports Federation, which existed until the Soviet invasion of 1944. The football governing body was then known as the Central Football Committee until 1948, the Republican Section for Football from 1948 until 1962 and the Bulgarian Football Federation from 1962 until 1985. 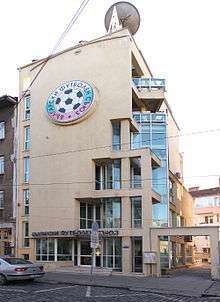 On 27 June 1985, the organization was renamed to the Bulgarian Football Union, the name that it carries today. Paytashev, Rumen (2001). World Football Encyclopedia, 1st edition. Trud. ISBN 954-528-500-1.